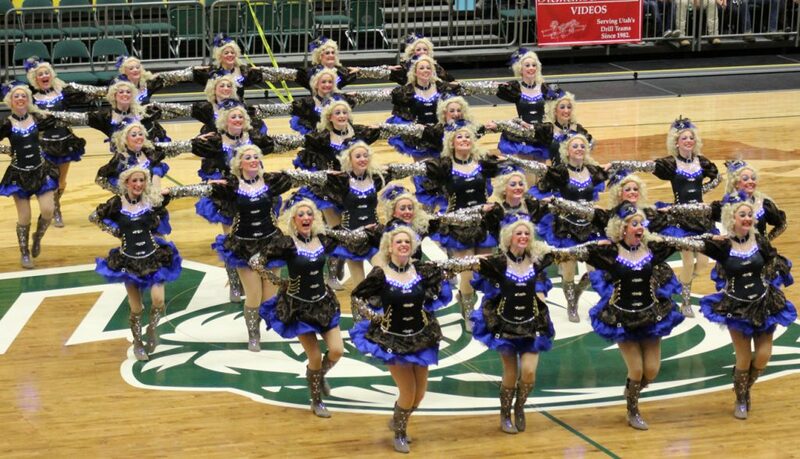 ST. GEORGE — Region 9’s Dixie High School Jetettes and Desert Hills High Tempest Line both placed highly at the state 4A drill team competition this week, but it was the Spanish Fork Las Chalitas who ended up with the first-place trophy. 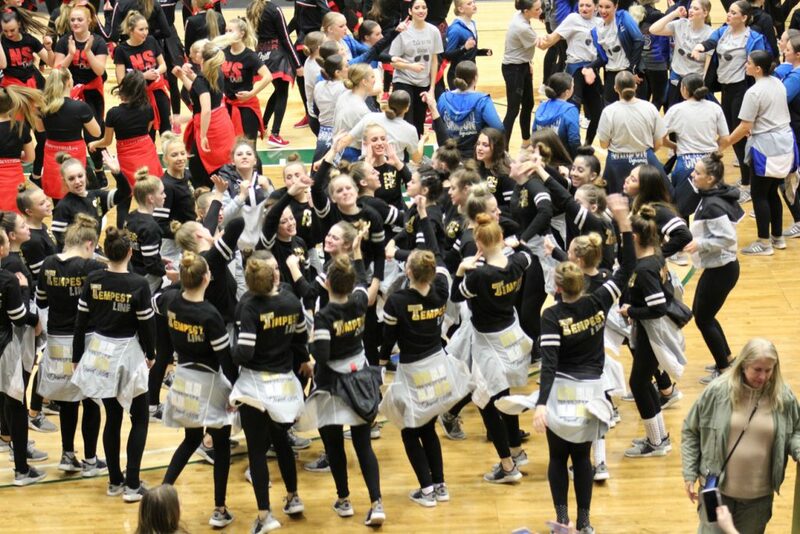 The victory marked Spanish Fork’s first-ever drill team championship and snapped a three-year state title winning streak by Region 9 schools. Dixie, which won the 3A titles in both 2016 and 2017, was this year’s runner-up, while Desert Hills, which won the 4A title in 2018, ended up in third this year. 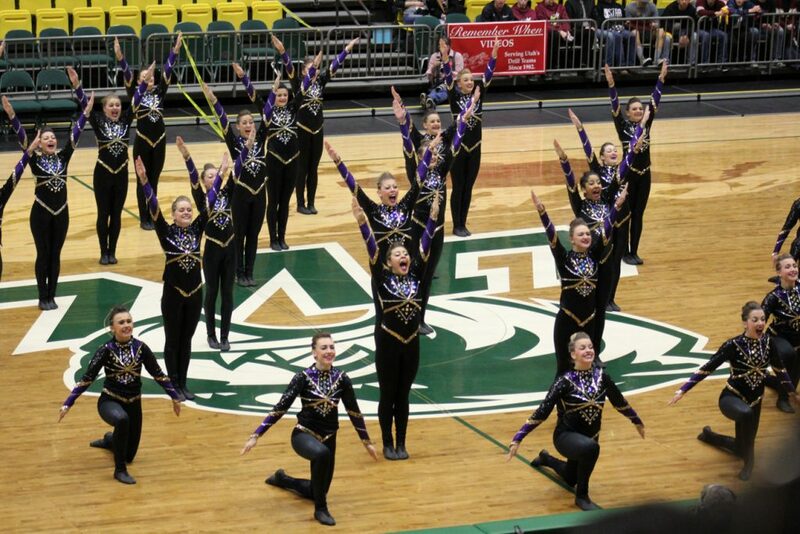 The state championships were held Thursday and Friday at Utah Valley University in Orem. The top two teams in each of the four pods on Thursday advanced to Friday’s finals, along with one wild card team. In the 4A competition, which was held at the same time as 3A’s (alternating between the two), Region 9’s top-seeded Desert Hills and No. 2 seed Dixie both advanced to compete on Friday, as did all of the other 1 and 2 seeds in each pod, plus one No. 3 seed, Lehi. Two other Region 9 schools from Southern Utah, third-seeded Canyon View and fourth-seeded Snow Canyon, also competed at state but didn’t advance to Friday’s finals. 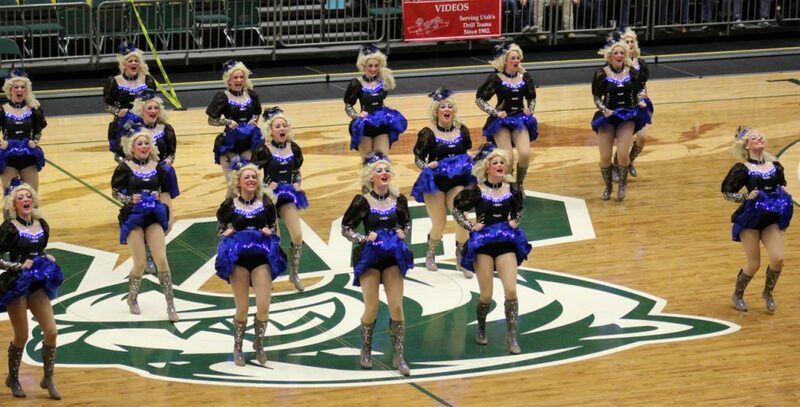 Teams performed a repertoire of three different dances each day, comprising the military, dance and kick categories. Spanish Fork won the military category, with Dixie placing second and Desert Hills third. 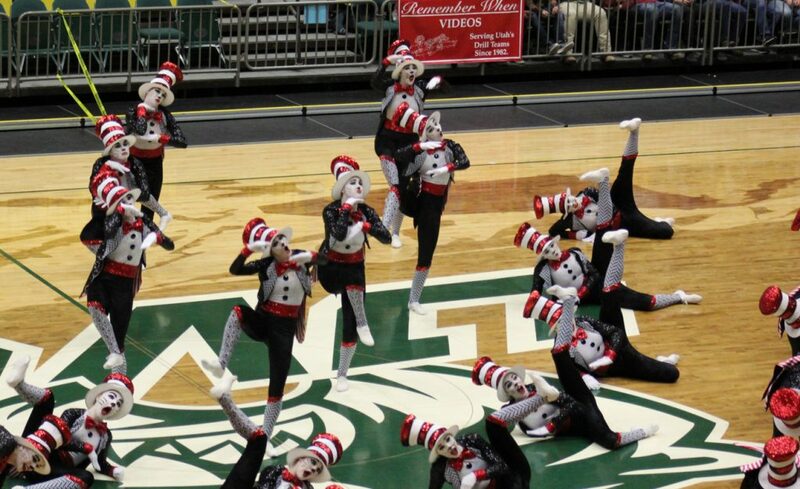 In kick, Desert Hills’ crowd-pleasing routine based on Dr. Suess’ “The Cat in the Hat” earned top marks from the judges. Spanish Fork took second in kick, while Dixie placed third. 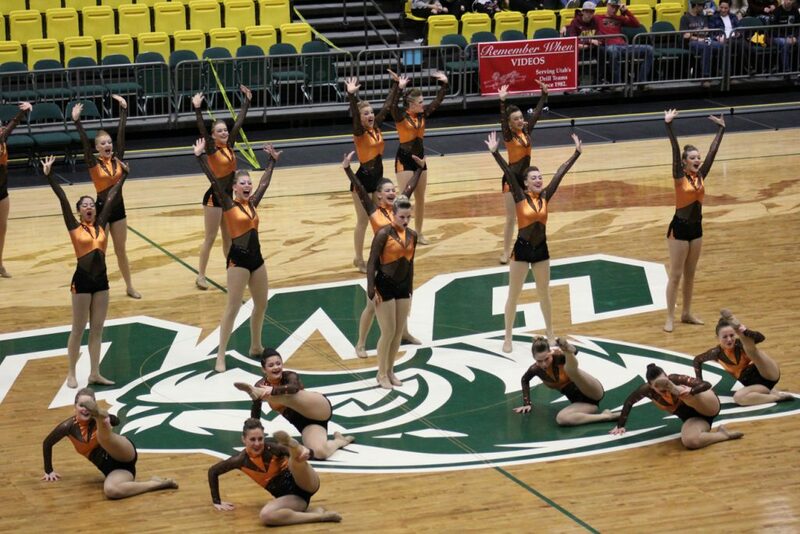 In the dance category, Spanish Fork took first, Dixie placed second and Desert Hills finished sixth. Peterson added that Dixie’s team was also named the Academic All-State champions, with a combined team GPA of 3.836 out of 4.0. Desert Hills coach Marcee Christensen also said she was proud of her team.